Facebook: Local businesses strengthen our communities and create more than 60% of new jobs. We want to help people find those jobs and help local businesses hire the right people, so, we’re expanding the ability to apply to jobs directly on Facebook to more than 40 countries. In an online poll of 5,000 adults conducted by Morning Consult, one in four people in the US said they searched for, or found a job using Facebook. 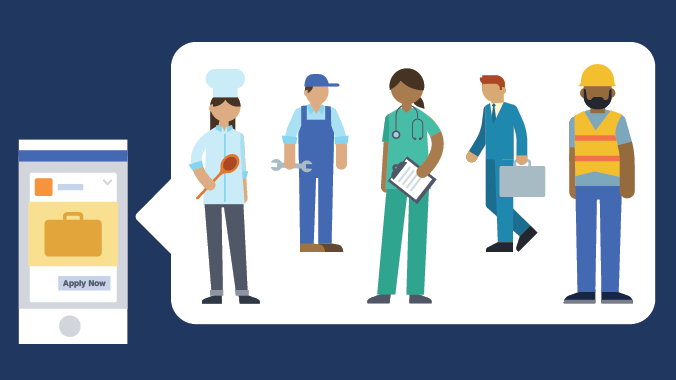 Since introducing job postings on Facebook in the US and Canada last year, we’ve built new features for businesses like the ability to create job posts on mobile, manage applications, and schedule interviews. Job-seekers can also set up job alerts for the type of roles they’re interested in.